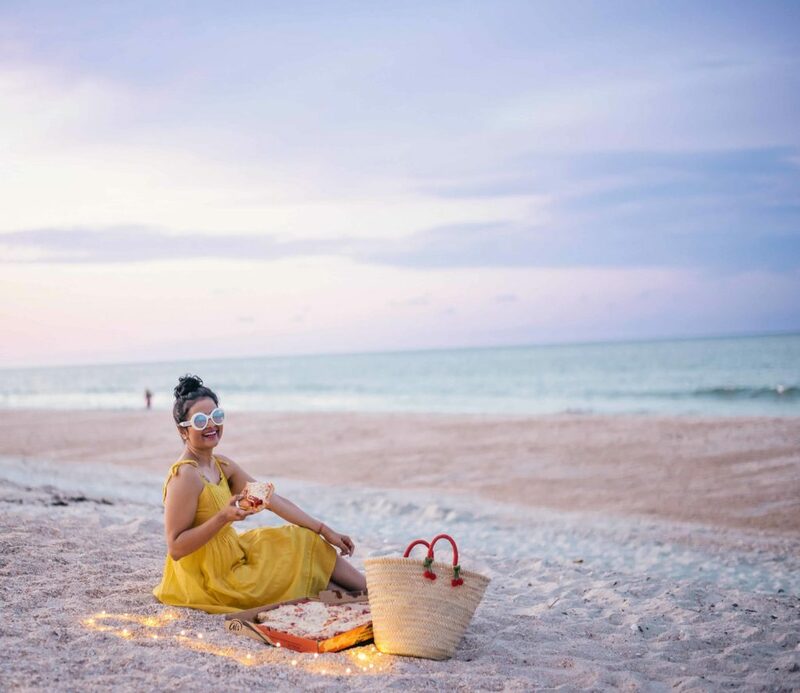 How to feel like you are vacation even if you not on one? We came back from a vacation in Florida and it was pure joy. Whenever I am planning for a trip, I love taking a trip to the mall to shop for the season ( or whether I am heading for a vacation ) and moreover, to get inspiration by just walking around, checking out the stores, drawing inspiration from store windows ( some really do a fabulous job with their displays). I stopped by The Shops at Chestnut Hill and couldn’t help but step into the Kate Spade store. 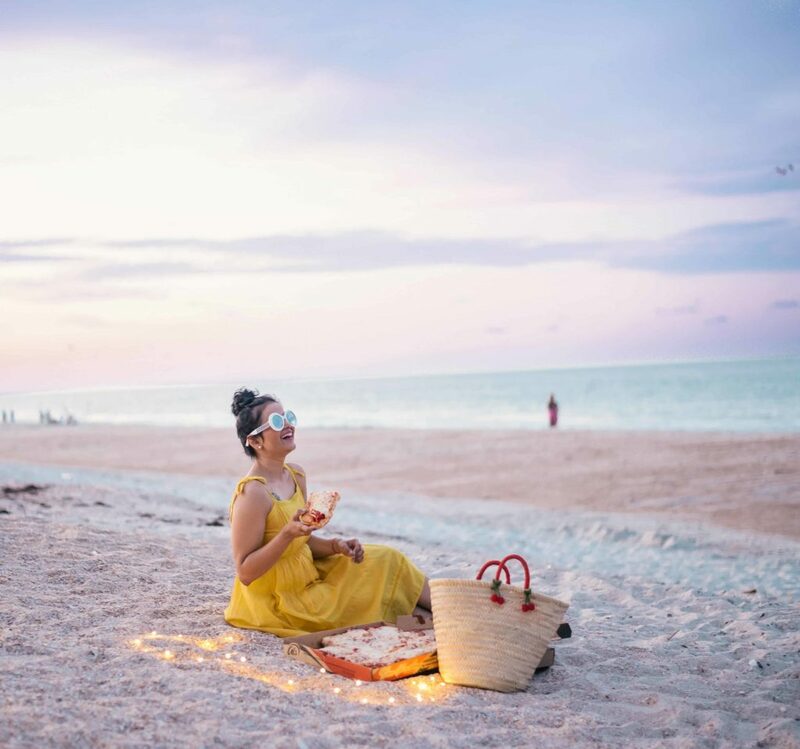 Like so many women, I have a special connection to my first Kate Spade bag and the store in this property is just everything that the brand stands for – vibrant pieces, classics with a twist and lot of color. 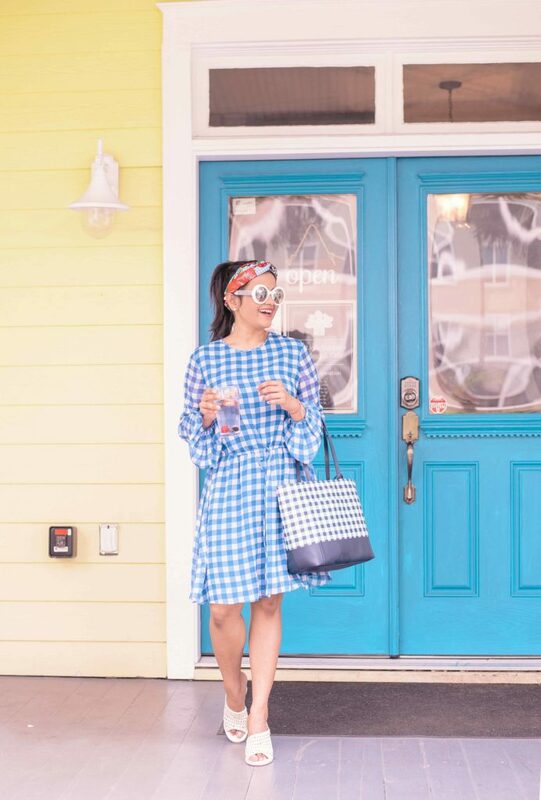 I bought this classic gingham Riley tote, I have a thing for gingham print and this is just perfect to pair with a pretty summer dress. 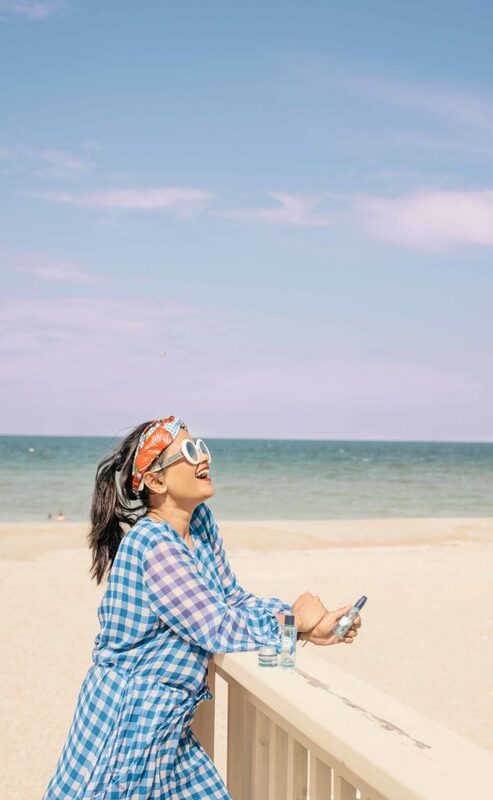 Since summer plans can simply be summed up into spending time in the sun, I always pay attention to my skin and ensuring that it is properly protected and well hydrated. I have a breakout-phobia from my teenage days ( and also adult life – ughh ), that if I don’t treat it well, it will punish me with breakouts. I love L’Occitane as many of you already know – this cream is my absolute favorite and is like a little blob of luxury in my daily skin routine. I picked out the Aqua Reotier Ultra Thirst-Quenching Gel – it basically acts like a magnet to recharge the skin with water. I have been using it on top of my daily moisturizer and love how it leaves the face feel soft and hydrated. 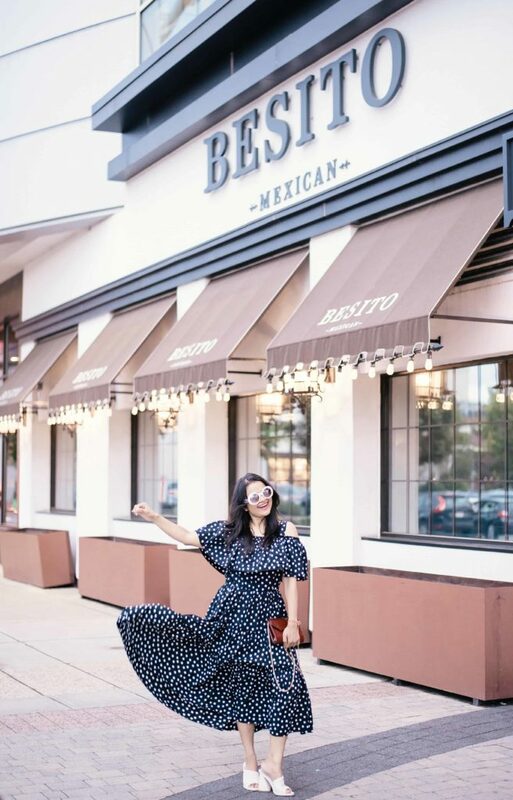 My summer wardrobe mainly consists of dresses – throw them on and you are ready to go! J.Crew always captures the perfect combination of in-trend and timeless classic and this tie-shoulder cotton dress that I picked out from the Burlington Mall store, is no different. I also loved this eyelet dress and this super cute round basket bag. These retro sunglasses are also a nice summer staple. If you know me well, you know that I would never make a trip to the mall and not stop for some taco indulgence. And even if I am not shopping, I’ll just go in for the fried plantains. And chips and salsa. And guacamole at the Besito Mexican restaurant. With its upscale ambience, authentic flavors and so many seasonal options ( vegetarian included! ) – I love dining there. Thank You to Burlington Mall and The Shops at Chestnut Hill for partnering on this post. I love how you’re just so happy in your photos, so sweet! Love these images. It looks like Florida treated you well 😀 I’m heading there this winter (thankfully still summer in Florida times, haha) and I’m so excited for it. These pics are so fun, Neha!! 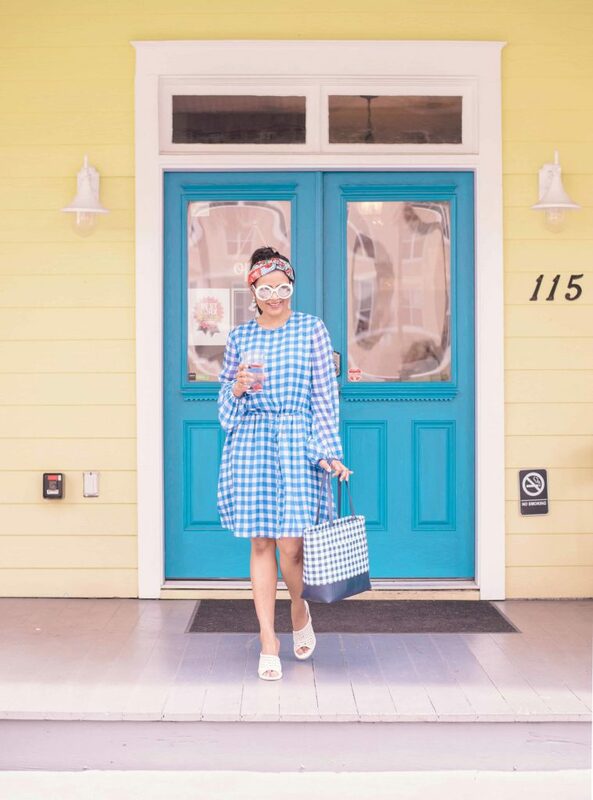 Love your gingham dress! These photos looks sooo lovely dear. Love your adorable outfits, especially the ginghams! I’m sooo ready for summer too. Love the photos! I hope you had a fun time in Florida! Awesome photos, Neha! I love all your summer looks. These dresses are awesome! Looks like you had a blast,too! Thanks for sharing!